Like using Pinterest? 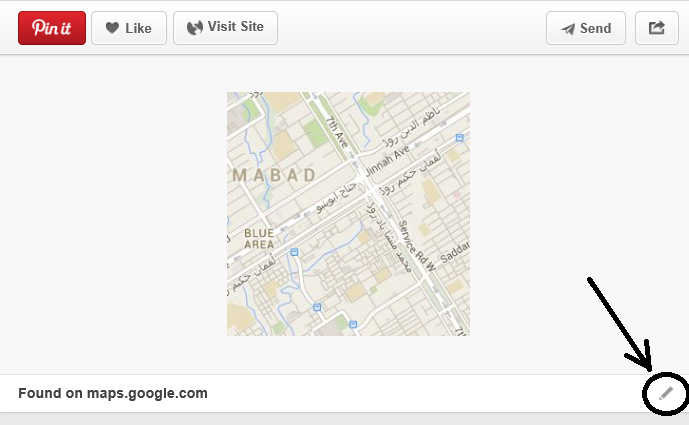 Let your followers know where you are by pinning maps to your Pinboards! You can pin your business location, event locations, or places you're going to visit in order to let your fans know beforehand when and where you're going to be! This strategy can help you get more reach, especially with locals from your area of business. Google and Bing don't let you Pin a map location, but that shouldn't stop you from telling people where you are! 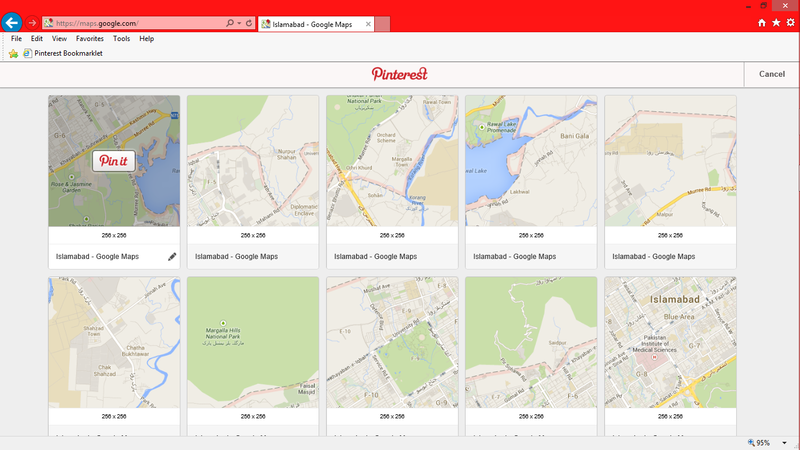 How to Pin a map to Pinterest? Google and Bing Maps are the two most popular map applications. But unfortunately, none of them allow you to directly pin a map location. However, there are other ways (official Pinterest ways) to achieve the same effect. The pin image will be the map extracted from the map site (i.e. Google or Bing). 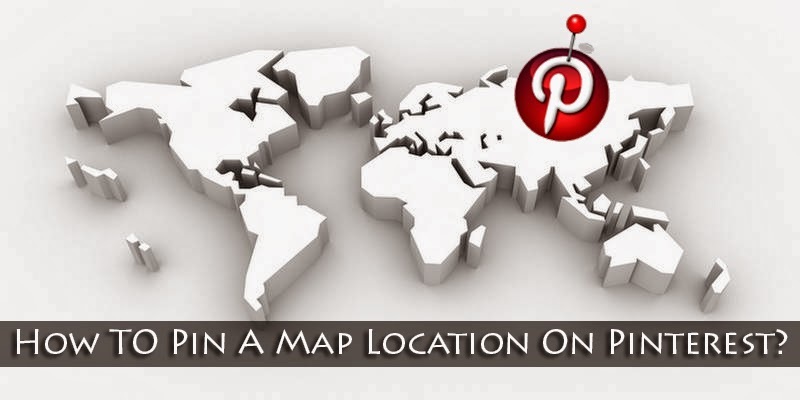 Follow the steps below to pin a map to Pinterest. Step 1: Install the Pinterest bookmarklet. You can do this by simply dragging the link below, and dropping it into your bookmarks bar. Step 2: Open a location on a map of your choice. 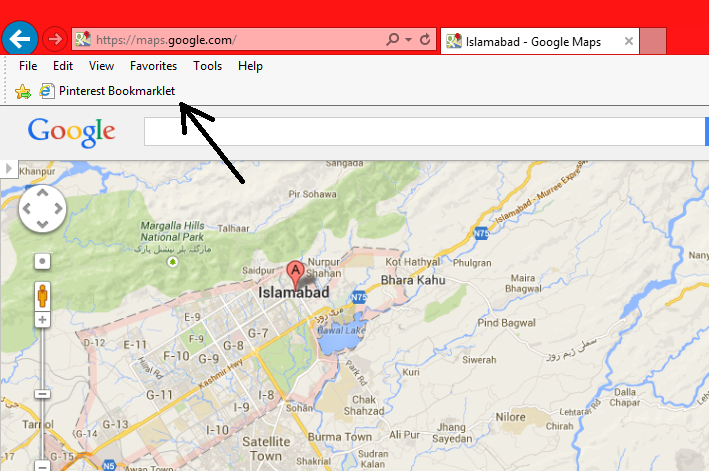 Once satisfied with the current location, just click on the bookmarklet you just created. Step 4: This step is optional. You can see that the pinned map is just an image, and doesn't link to an actual map. So in this step, we'll link it to the map so that your followers can see it in real time. Open up your Pin on Pinterest, and click on the small pencil icon at the bottom of the pin. Now, in the Source text box, add a link to the map if it's not there already. Save.